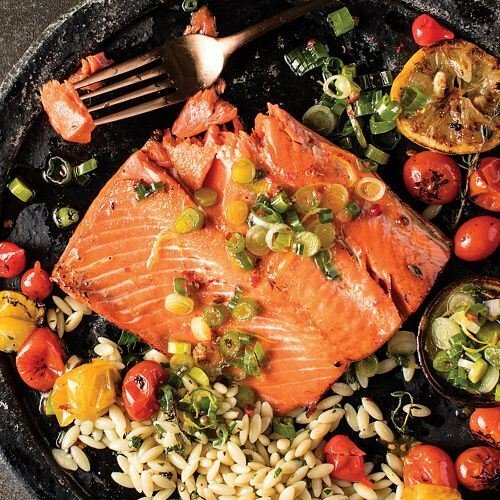 You'll fall hook, line and sinker for these thick, meaty Salmon Fillets from the cold Pacific waters! They taste so fresh because they're flash-frozen minutes after being caught. They are naturally juicy and firm in texture, making them perfect for grilling, broiling or pan searing.